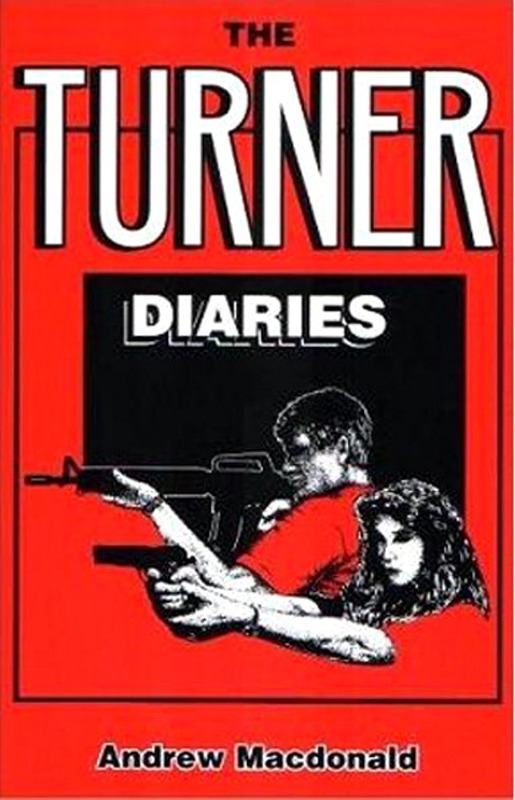 The Turner Diaries is a 1978 novel by William Luther Pierce, published under the pseudonym “Andrew Macdonald”. The Turner Diaries depicts a violent revolution in the United States which leads to the overthrow of the federal government, nuclear war, and, ultimately, a race war. All groups opposed by the author, such as Jews, gays, and non-whites, are exterminated. The book was described as “explicitly racist and anti-Semitic” by The New York Times and has been labeled a “bible of the racist right” by the Southern Poverty Law Center. As a cultural artifact, The Turner Diaries is political fiction that presents the means by which white nationalism (white separatism, eugenics, etc.) can be established with a race war and genocides against the perceived non-white enemies of the nation.